Good morning and happy Friday!! It has been the strangest week around here...Wednesday was so mild and spring-like and then yesterday the temps dropped and it was snowing! I took advantage of the beautiful snow and took a few pictures. We have some pretty wooded areas near us and it's breathtaking when the trees and creeks are covered with snow! This has been a very typical outfit for me lately. Since I don't dress up for work during the day and my growing bump has left me with limited wardrobe options, I often wear leggings. This activewear look is exactly what I wear to my prenatal yoga classes, too (with a racerback tank underneath). 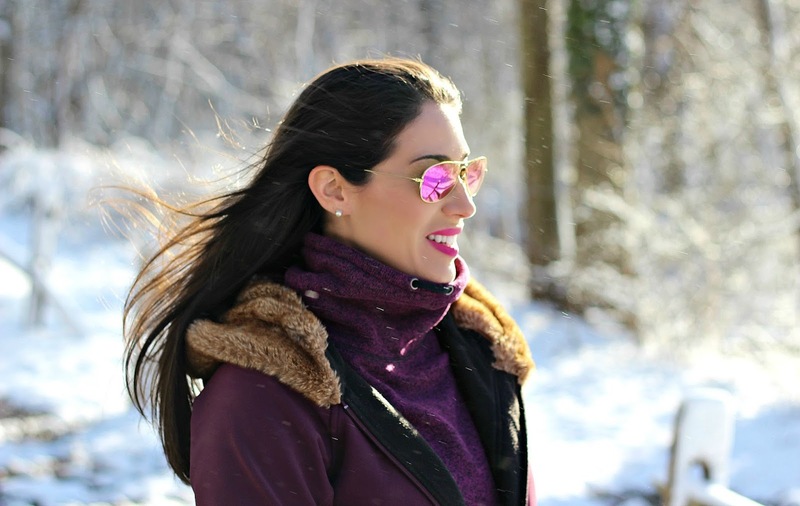 I am so excited to tell you about this Tek Gear Cowl Neck Sweatshirt for two reasons. 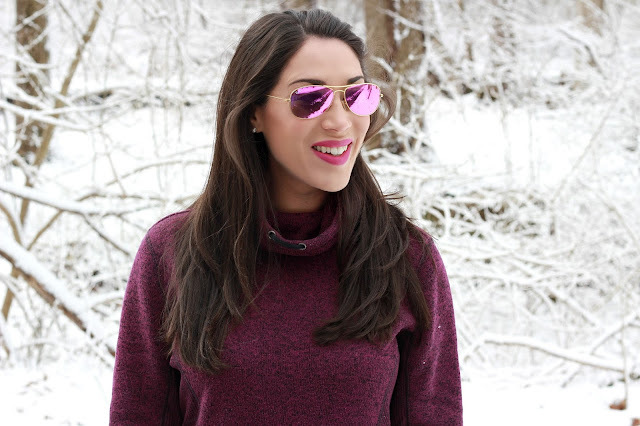 One, it has become my new favorite activewear sweatshirt! The color is gorgeous, the tunic length fits my bump, and it is SO SOFT. Second, it's on sale at Kohl's for only $16!!! I'm wearing a medium for reference. This sweatshirt is a must have! For a bag, I carried my Street Level Faux Leather Reversible Tote from Nordstrom. This affordable bag is perfect for activewear. I always take this tote to my yoga classes since it's big enough to fit all my essentials, plus a water bottle and small towel. It's a great work bag, too...trendy but functional because of the size (fits books, lap tops, etc.). The black/cognac one is $48 right now and they have a gray one on sale for $32. 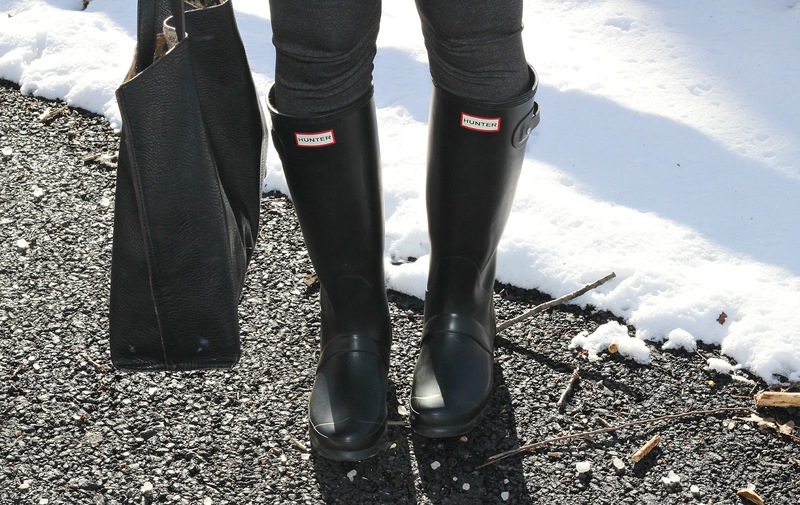 When it's raining or snowing, I love to wear my Hunter Rain Boots over leggings. I get SO MUCH wear out of these and can't believe I lived without rain boots for so many years. I love this black pair because they match everything. If I ever invested in another pair, I'd try the red ones next! For reference, I'm a 7.5 shoe size and wear a 7 in Hunter Boots. you are looking SO adorable with that bump- love this color on you- and those SHADES!!! Love. Sound like the perfect item for you! 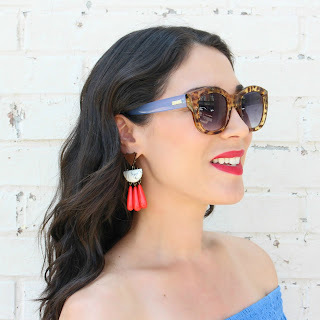 I love the color you chose and how well it coordinates with the sunnies! Loving the cute baby bump too! You make activewear look so fun! I just love those sunnies! Great Outfit in the snow, I just love your hunter boots.